From the smallest details to the big decisions, we’re here to help you get it right. Nervous about your first week? The INTO University of South Florida student support staff will help you feel welcomed and connected to campus resources. Questions about your visa? Our immigration team can give you the guidance you need to maintain your status. Help with your classes? Tutors are available six days a week. Missing home? We organize fun trips and activities all year to help you make new friends. From the moment you arrive on campus, help is on hand. From tutoring and test preparation to personalized academic advising, our friendly staff and helpful resources are here to support your academic goals. Academic support services and resources available include group or individual sessions at the INTO USF Tutoring Center, test preparation classes and personalized tutoring for GMAT and GRE and academic advising throughout your program. You also have access to the computer lab and learning resource center. 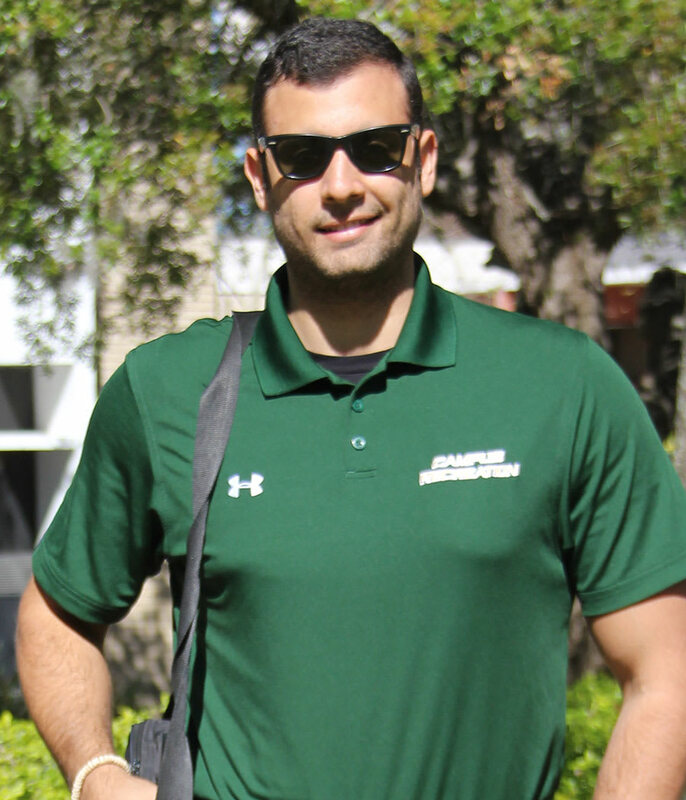 Student interest groups can help with English language practice and progression advisors are here to prepare you for degree-seeking status at USF. Your university education is more than academics. It’s the next chapter in your life story. At INTO USF, we’re committed to creating an experience that exceeds your expectations. We offer a variety of services to help you adjust to a new culture, explore the city and build lasting friendships. We'll provide support for you from the moment we pick you up from Tampa International Airport. Our student support team will assist with housing, dining and medical concerns. You'll have a week of orientation prior to classes starting in order to get situated. We also provide visa and immigration support, cultural and language ambassadors to help you navigate daily life in the US. Want to get a head start in exploring the area and meeting your fellow USF students? We organize trips and activities to introduce you to new people and places.